I know what you mean, after a while they start looking much like each other. Of course it would be very interesting to know what your favorite are as reference for future purchases. Personally as I haven't bought that many recent ones, my favorite Japanese books tend to be older ones that I bought while I was living there and that are out of print now (such as chirimen crafts books, I posted some in my blog). I must say Cotton Time changed quite a lot as a few years ago it was mostly country stuff which looked to me much less trendy than what they are doing now. I threw away all my old issues when I moved back to France however so I can't show you! I'm feeling the same way about those books as you. I love my new little Square Patchworks, Star and House books, they're cute, and seemed fresh and new. Looking forward to seeing your list of favorite Japanese stuff so I can buy the good ones when I get around to it! I'd love to see your favourites! 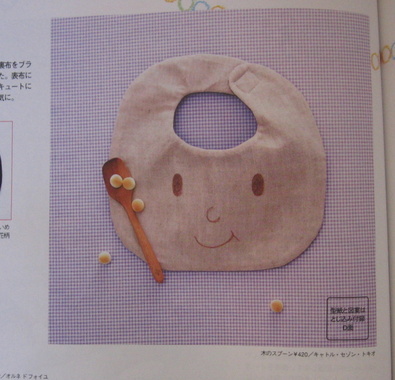 I'm still newish to the Japanese craft book scene, and I don't have much time to browse the lovely Japanese craft books in the book store, so snippets and people's recommendation is always good! The first one is always the best. 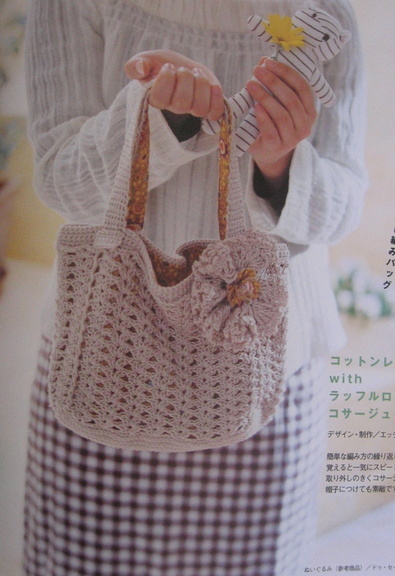 Love the crochet bag from this issue, especially the big flower. yes, do it please, say to us what are your favorites patterns and why ! please ! A faves list would be great, please! I am ditherer extraordinaire. I spend ages looking through all the possibilities only to come away with nothing in case it's not good enough. So yes, tried and tested versions would be fab. I would love to know what your favorites are and why. What projects you liked the most. I have yet to buy one because I find it overwhelming! I guess I'll just jump in, sink or swim. I would love a list of your favorites! Thank you, Thank you. 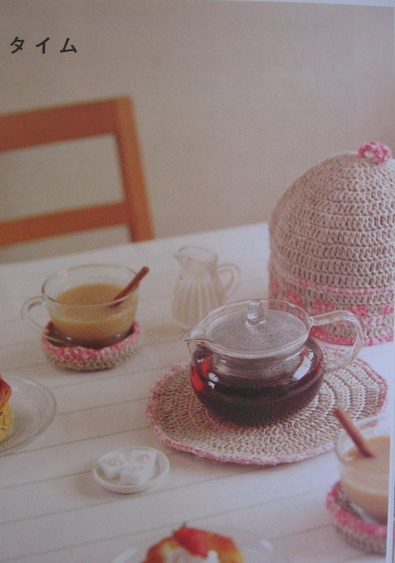 Japanese craft books are new to me, so I would love to read a list of your favorites. Thanks! I agree, and I'll add ANY magazine, really, I subscribe (and am letting go) several knitting and quilting mags. I will never make most of them. I think you begin to get overload, and want to make your own things. I like the new techniques (sometimes!) but I'm at max-level now. I'd also love to see a list of your favs. I do have a couple of Japanese craft books but would prefer to get a hint or two on which ones are really worth getting. 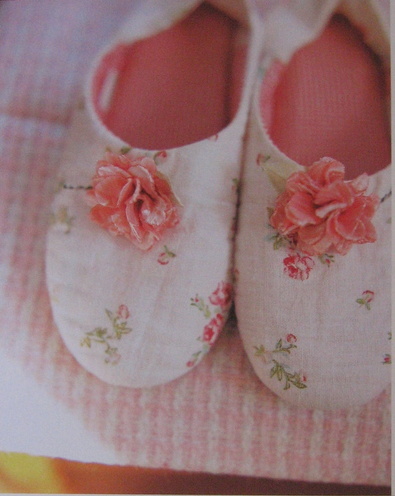 There are a some that I'd like to have but they seem to be out of print (;.;). I like the bip - is the face just painted on the fabric? 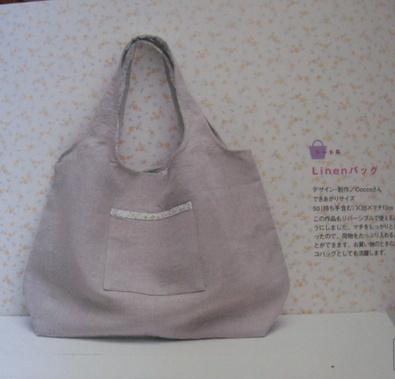 This might sound like a really dumb question, but can you really make things from these patterns without being able to read the instructions? It seems like it would be hard to me to just go by the pictures, but of course I'm kind of a beginner! De-lurking to say yes please! 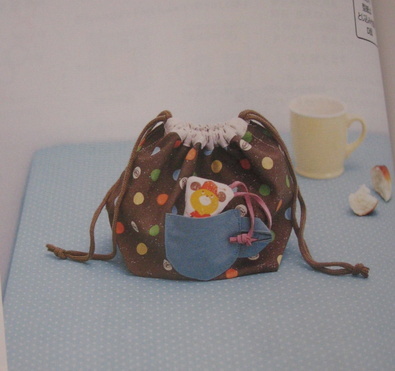 I am new to the whole Japanese craft book craze, and I absolutely love them. Since they're impossible for me to find in person, (and expensive to buy sight unseen) it would be very nice to read some reviews! I'd love a list. I've been looking to pick some up, but buying them online - it's hard to tell which ones I'd really like and get the most inspirtion from. 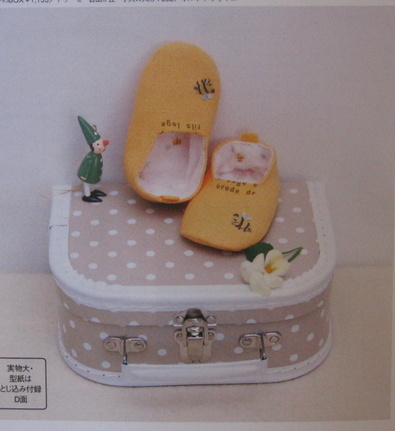 i haven't got any japanese craft books but did used to get marie claire idees magazine through work. a list of the good ones would be really interesting. my other half is off to singapore after easter and is going on the craft mag/book hunt for me there. 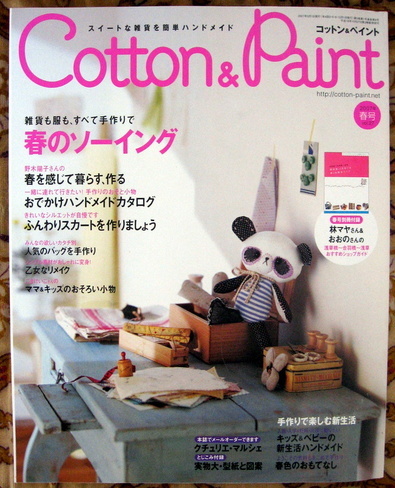 just bought my first japanese mag . . now just have to wait for mr postie . . how long is three weeks !! i have it too! i managed to snag it out in little tokyo. hooray! PLEASE PLEASE PLEASE post a list of your faves! I'm relatively new to sewing, and I'd love to boost my lovely inspiration stash. I feel exactly like you about the magazines. My very first Japanese ones were a revelation, but after quite a lot now, and an order from Yesasia, I didn't really see any new ideas. That being said, I'd love to see your favourites. 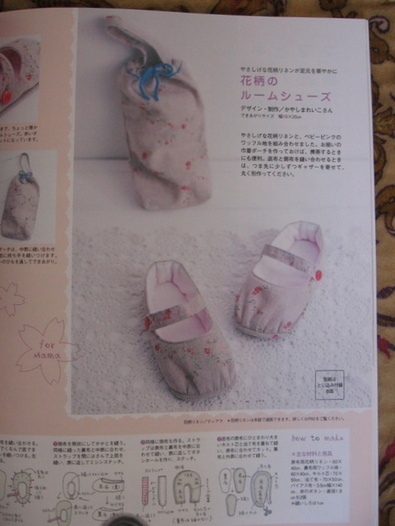 I am fairly new to the whole blog world - but I will say thankyou for your great pictures on the Japanese Craft Books - I have now found yesasia and I am now waiting on some books to come in the mail - I am not the best sewer so I hope to find inspirations in the pictures. can we exchange craft books?